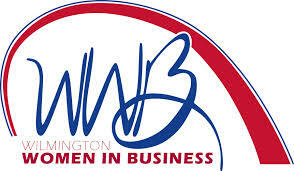 Wilmington Women in Business Fresh Start Scholarship available for women returning to school | Back to Basics Learning Dynamics, Inc. The Fresh Start Scholarship Foundation was established by the Wilmington Women in Business in 1996 to provide financial incentive and mentoring assistance to a woman returning to school to improve her life and opportunities. Awards are granted without regard to race, color, creed, religion, disability, or national origin. • Be at least 20 years of age and have a high school diploma or G.E.D. The number and amount of the awards will be determined annually prior to the fall semester but will in no event exceed the costs of tuition, fees, books and other direct educational expenses. Awards will be paid to the college prior to the beginning of each semester. Returning to school? The Wilmington Women in Business Fresh Start Scholarship can help! $3,000 Anti Bullying Scholarship... no essay required! Nominate an outstanding volunteer or group in Delaware today for the Governor’s Outstanding Volunteer Award!